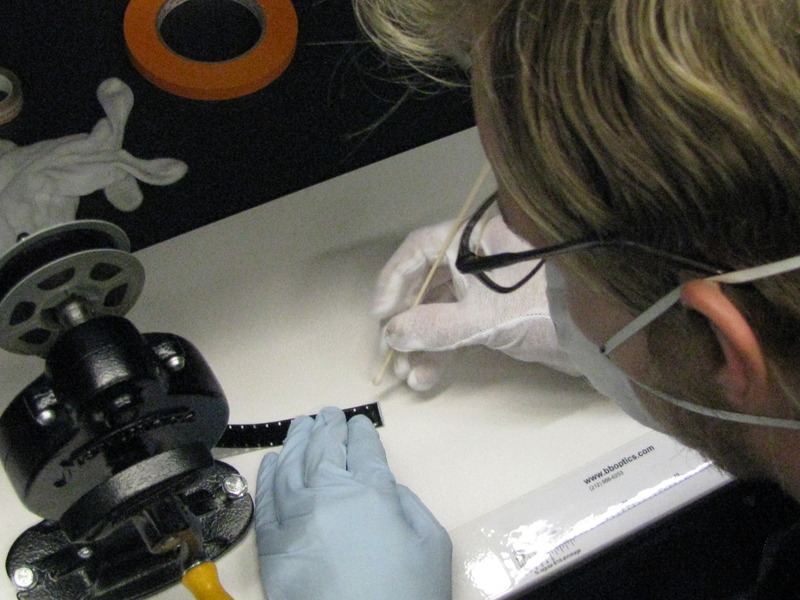 Here, the audiovisual conservator removes residue by hand from a bad splice using a cotton swab and Solvon Film Cleaner and Conditioner Type 1, a liquid cleaning product made specifically for film. 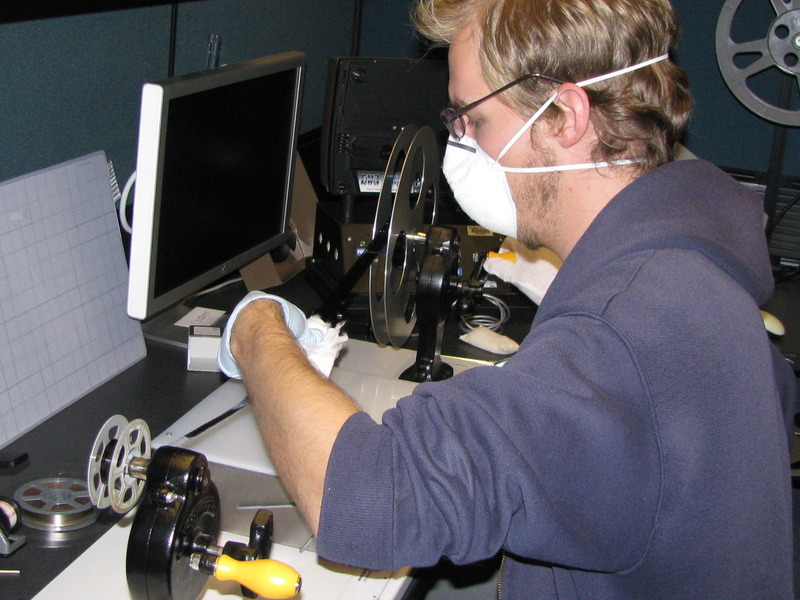 When handling film or audio tape, always wear cotton gloves, and always hold the film by its edges. Skin oils and fingerprints can be very damaging to film. Wearing gloves will at least serve as a reminder that you should always be careful. Webril cotton wipes are often preferred for hand-cleaning film, as seen in this picture. They do not contain or react with chemicals, and they will not scratch film. 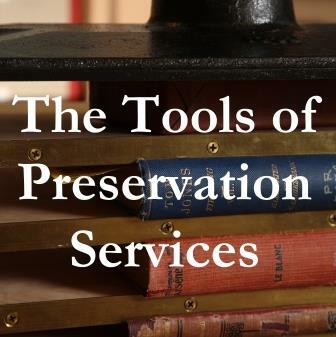 The Library's film and audio conservator works with decades-old film and tape that have, perhaps, decayed over time or been stored in detrimental environments. So the practitioner usually wears a mask as protection from mold and offgassing. In order to cut down on the transfer and growth of mold in a collection, it's wise to clean equipment that has handled moldy film or tape immediately after use.